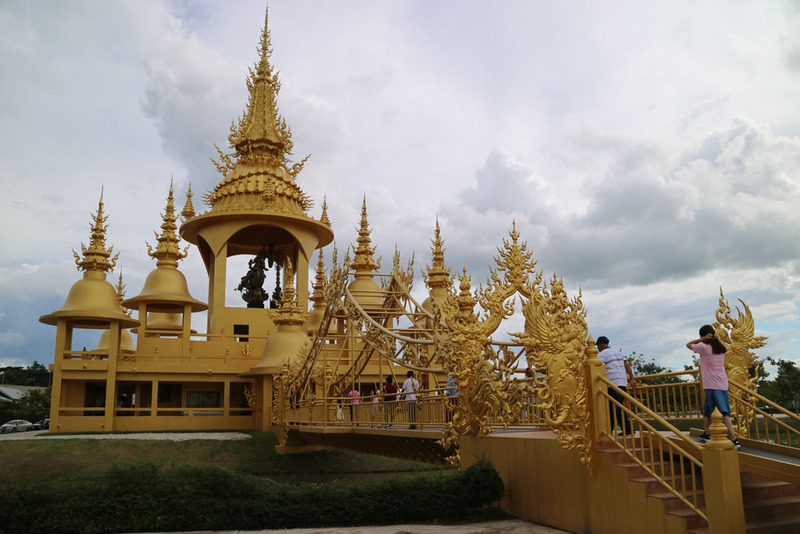 Northern Thailand’s Chiang Rai is well-known as a centre for the arts, with several incredible cultural attractions and colourful characters from Thailand’s art world. 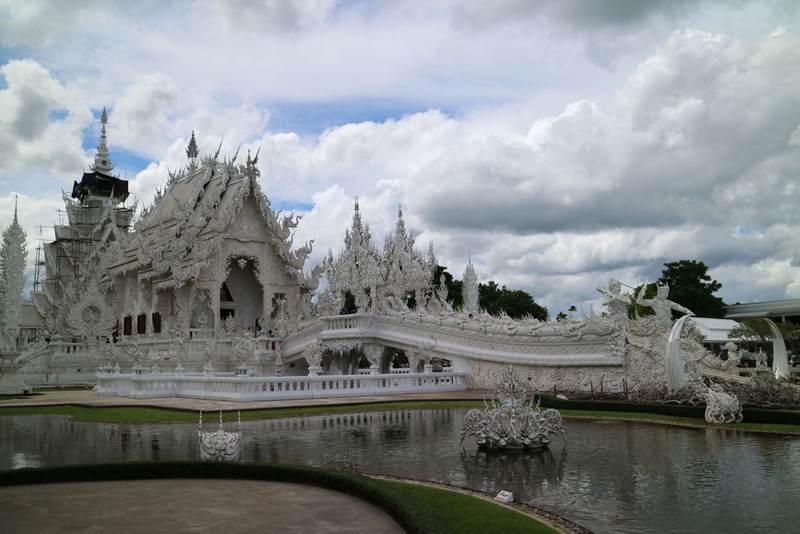 The White Temple is one of these attractions, a place that really earns the description: unique. 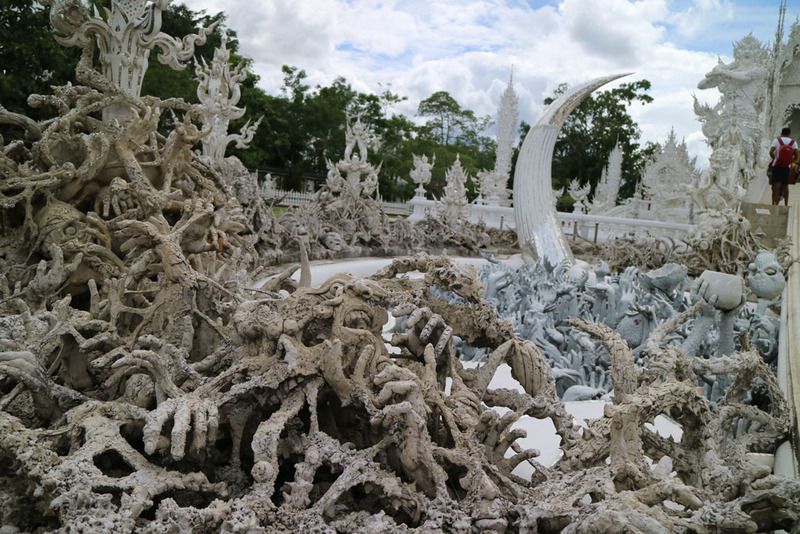 While it looks like a traditional Thai temple, Wat Rong Khun, or the White Temple as it is known to foreigners, is anything but. The creation of millionaire Thai artist Ajarn Chalermchai Kositpipat, it’s both an homage to traditional Thai artistry and popular culture. 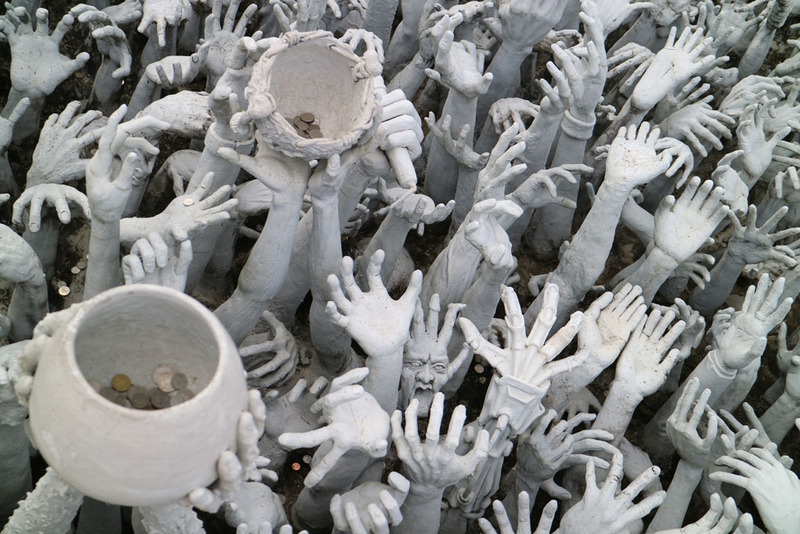 As you approach the White Temple itself, past a pool of reflection surrounded by ornate sculptures and incredibly decorative walls and turrets, a forest of disembodied arms reach up to you as you pass over a bridge to the entrance. 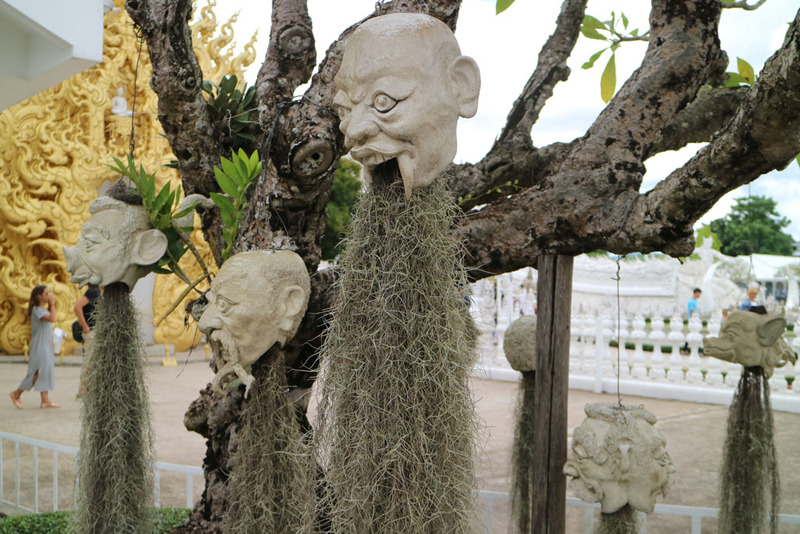 Surrounding the temple grounds, the heads of demons hang from trees – traditional Thai demons alongside the Incredible Hulk, Terminator, even Gollum. Ancient Buddhist legends, the struggle between Lord Buddha and the Mara (demon) are told in traditional style, a mural on the walls of the temple interior, but the characters depicted are 20th century heroes and villains, like Spiderman, Ultraman and Neo, facing off Darth Vader and the Terminator. There’s a message here to the world, that we have lost a moral compass to guide us, in Chalermchai’s words; “look at each other with kindness, not with hate that can lead to war”. 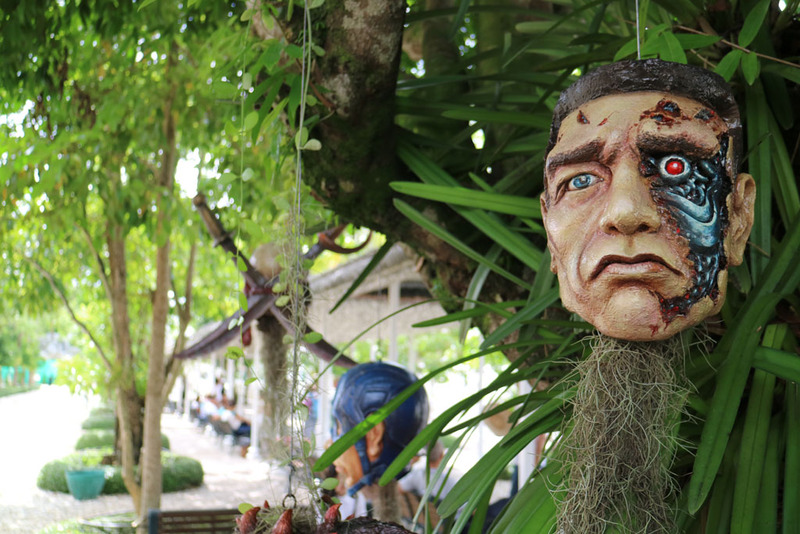 The eyes of a huge demon each have portraits of George Bush and Osama Bin Laden inside them, looking to each other, as below them, the Twin Towers burn. 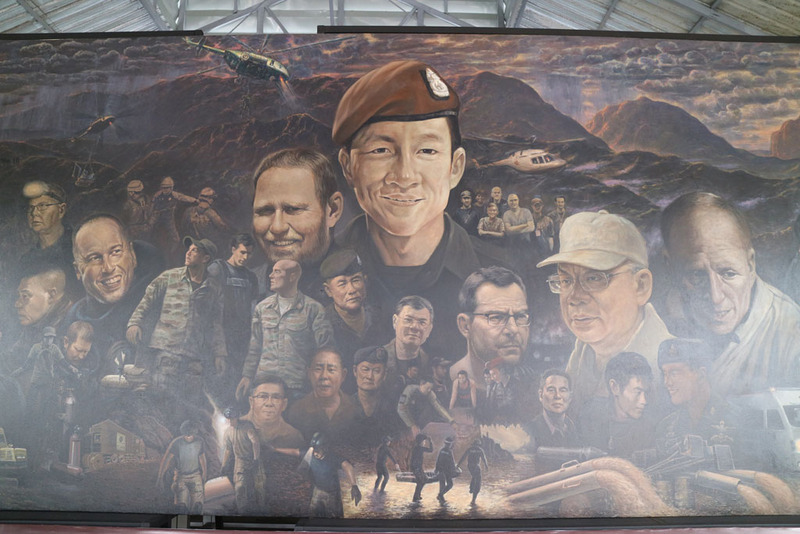 The artist’s message by including these characters is that in reality, while we need real-life heroes – no movie screen heroes could save the Twin Towers. 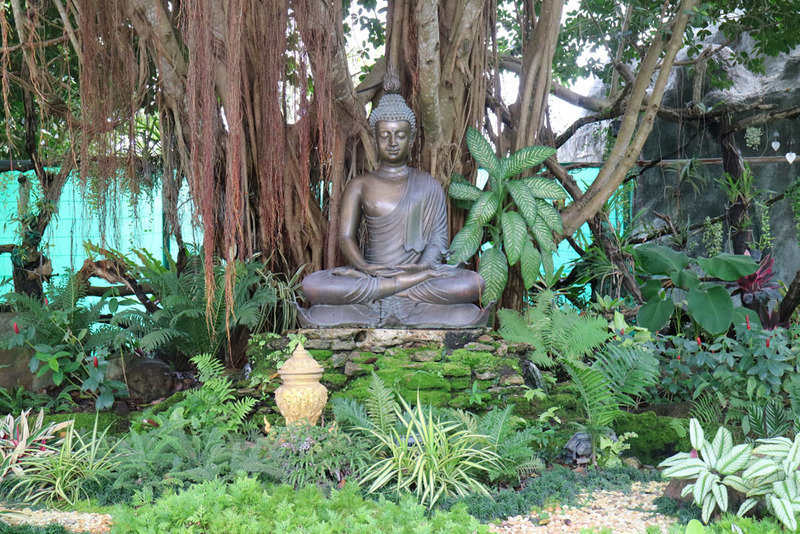 As you move through the temple, a path of enlightenment takes you towards a statue of the Lord Buddha with artwork transforming from demons to angels as you pass through, out the other end to a heavenly garden’, down a passage decorated with silver leaves and beyond to another golden temple surrounded by a pool. 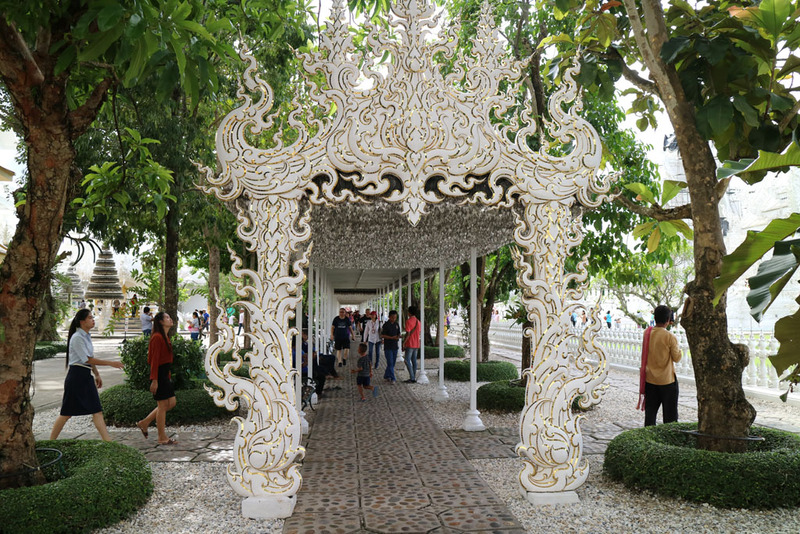 The White Temple, and its surrounding garden and buildings, is an ongoing project, worked on by Chalermchai and some 300 apprentices. 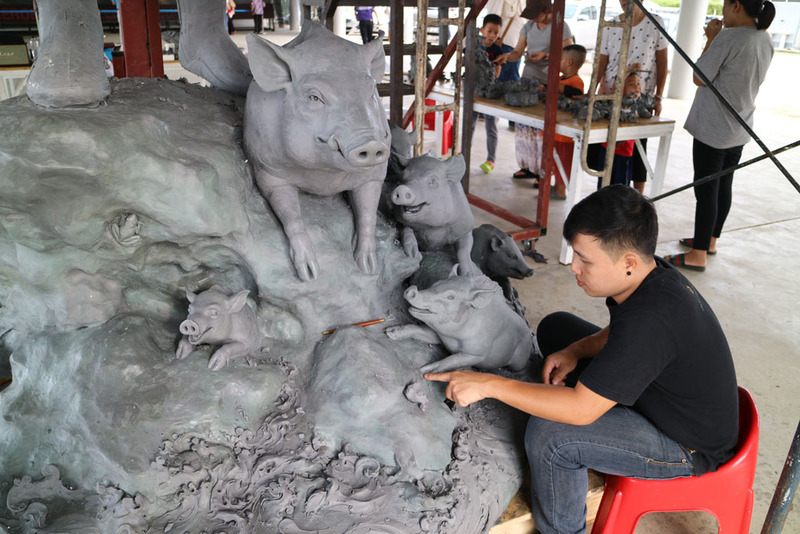 In a studio the size of a hanger, we were able to observe the artists at work on their latest project, a giant mural and statue commemorating the heroes of the nearby rescue of schoolboy soccer team, the ‘Wild Boars’ from their ordeal in the flooded Tham Luang cave. 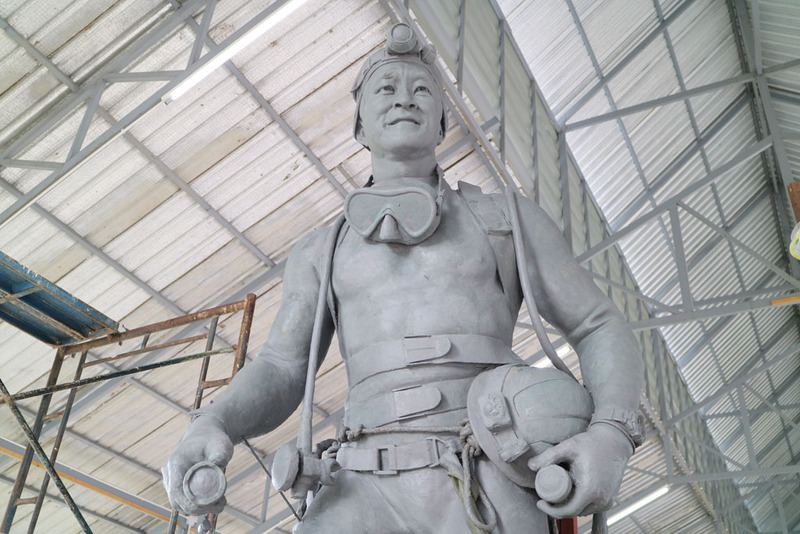 The centrepiece of this memorial artwork, which will eventually be located near the entrance to Tham Luang cave, is a larger than life statue of the former Thai Navy Seal, Saman Kunan. Back towards the entrance of this enormous compound, there is an art gallery which houses a great collection of the artist’s more traditional pieces, painted in traditional Thai style, illustrations depicting Buddhist legends, as well as pieces of memorabilia from Chalermchai’s private collection, old vinyl LPs, comics and various other toys and kitsch oddities. The complex is something you won’t find anywhere else. With each turn you take you stumble across another beautiful construction or oddity of sorts, like this toilet block fit for a king, for example, more like a palace than a bathroom. Thailand will countdown the new year in spectacular fashion this year, in Bangkok as well as four emerging tourism provinces in Chiang Rai, Nakhon Phanom, Ratchaburi and Satun. Southern Region: Pakbara Pier, Satun province. 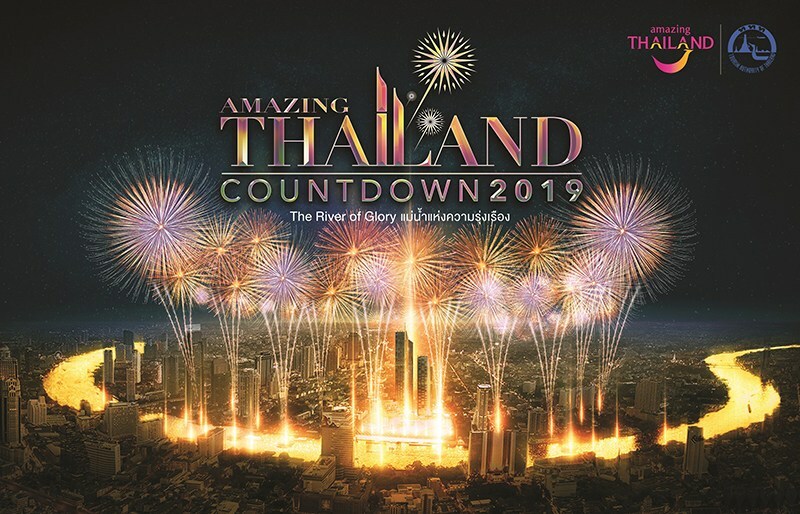 The “Amazing Thailand Countdown 2019” in Bangkok will begin at 6pm on 31 December 2018. This is six hours of back-to-back celebrations and performances based on the theme of “The River of Prosperity”. The highlight will be a magnificent display of fireworks made from Thai sticky rice to ensure minimal environmental impact. 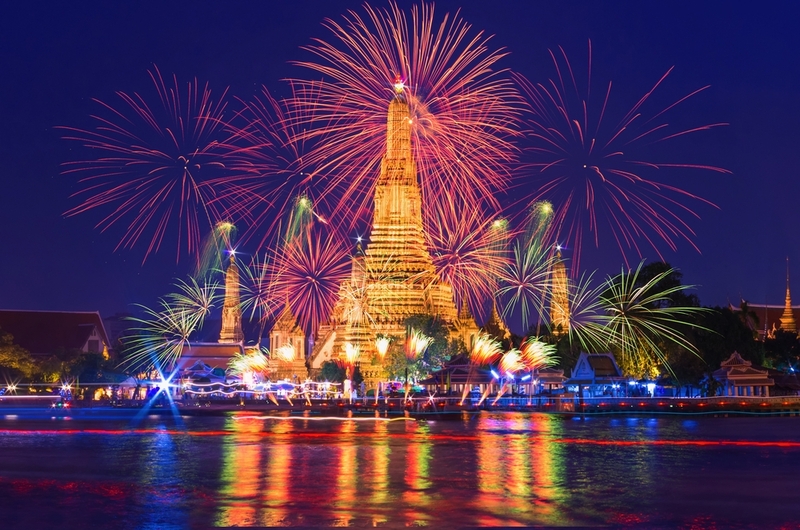 The five-minute, five-part fireworks extravaganza will showcase the history of the Chao Phraya River pertaining to the Thai way of life, traditions and legends of Siam. The best visibility spots are as follows: Peninsula Hotel, Millennial Hilton Hotel, Shangri-La Hotel, Mandarin Oriental Hotel, and Royal Orchid Sheraton Hotel, Sathorn Bridge, Chaloem Phrakiat Park, Sathon Pier, Police Station 2, Khlong San Pier, Sampheng Parking Lot, CAT-Bang Rak Branch, Wat Suwan Pier, Siam Commercial Bank and LHONG 1919. The Andaman Sea is famous for its spectacular diving. The marine life and coral reefs surrounding the Similan and Surin islands have been attracting scuba divers from all over the world for years. 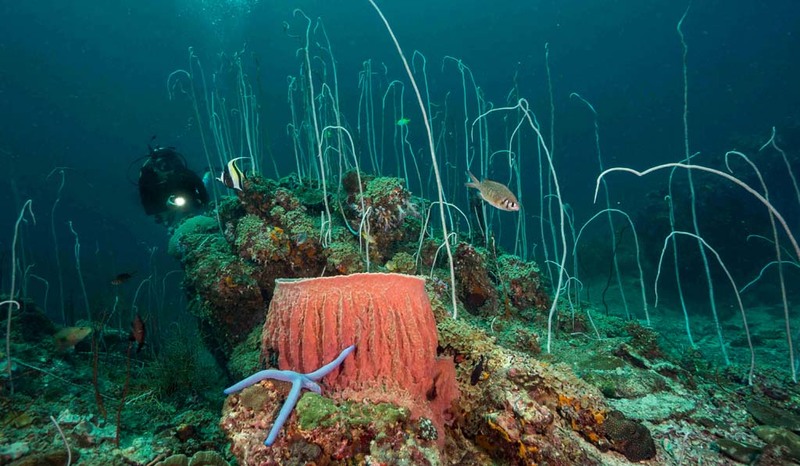 But recently, more and more divers are discovering the underwater wonders both north and south of these well-known dive sites. To the south, the Phi Phi national Marine park and southern islands of Koh Ha, Hin Daeng and Hin Muang, and to the north, Myanmar’s Mergui Archipelago. NOW there are two new dive liveaboard boats that specialise in these emerging diving destinations. Based in Phuket, ‘The Phinisi’, a traditionally designed yacht runs dive trips to the southern islands, the Similan and Surin Islands and north into Myanmar. The ‘Smiling Seahorse’, based in Ranong on the Thailand and Myanmar border, offers dive cruises to the Similan and Surin Islands, and is a specialist in Myanmar’s remote Mergui Archipelago. 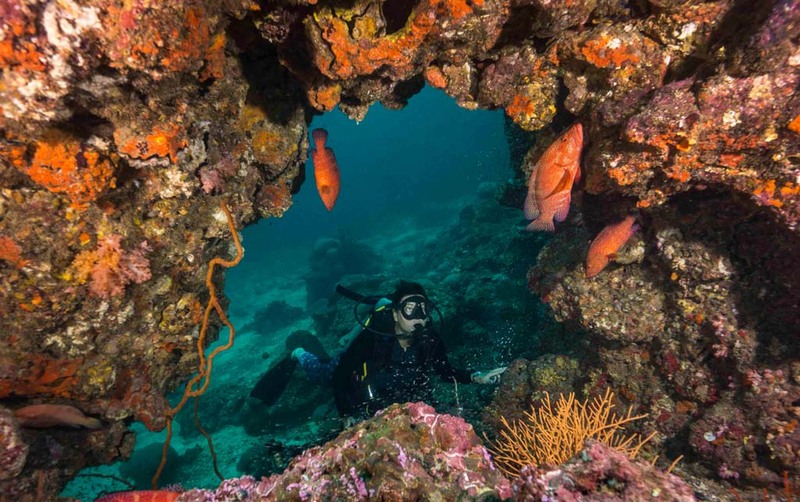 The Phi Phi National Marine Park and the southern islands of Koh Haa, Hin Daeng and Hin Muang offer pinnacles, incredible limestone walls covered in healthy soft corals and gorgonians, with caverns and swim-throughs with lots of macro life. 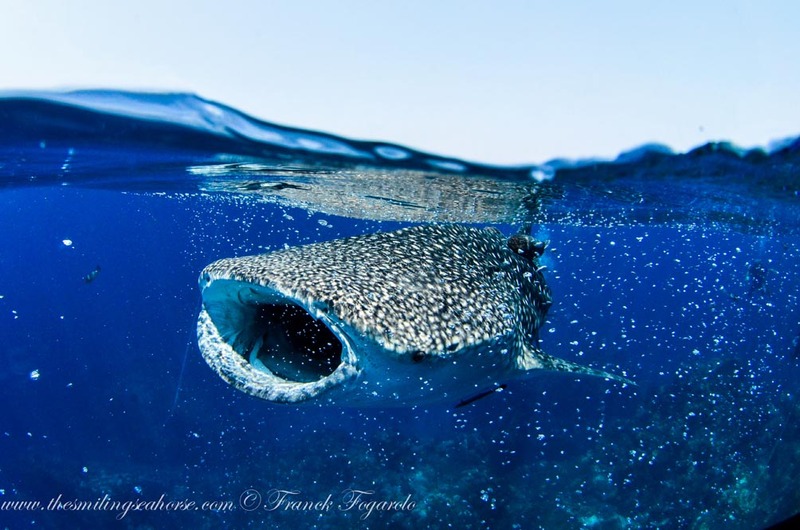 There is a good chance of seeing large schools of barracuda, Jack fish and snapper, as well as, manta rays, leopard sharks, black tip sharks, if you’re lucky, maybe a whale shark. 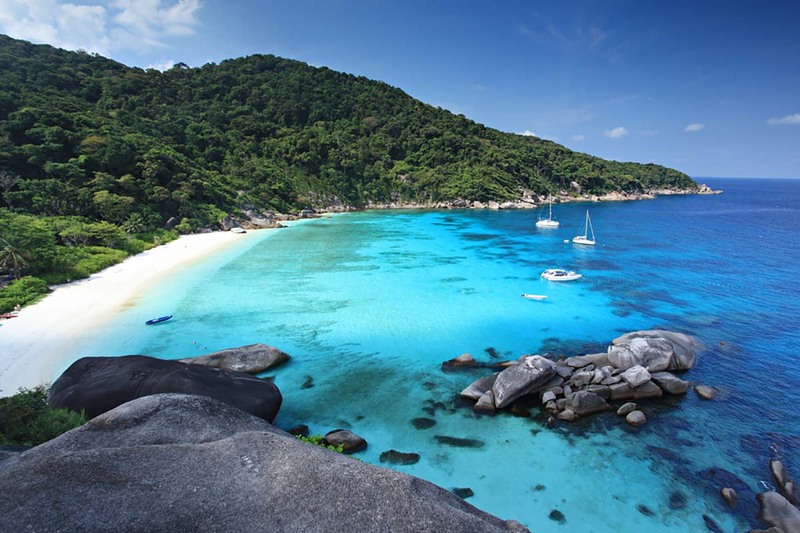 The Similans, Surin Islands and Richelieu Rock. In the Marine National Parks of the Similan Islands and the Surin Islands you’ll see over 200 species of hard coral spread amongst walls, coral gardens and pinnacles, where turtles, giant trevallies, schools of Jack fish, barracudas, and many kinds of tropical fish, patrol. 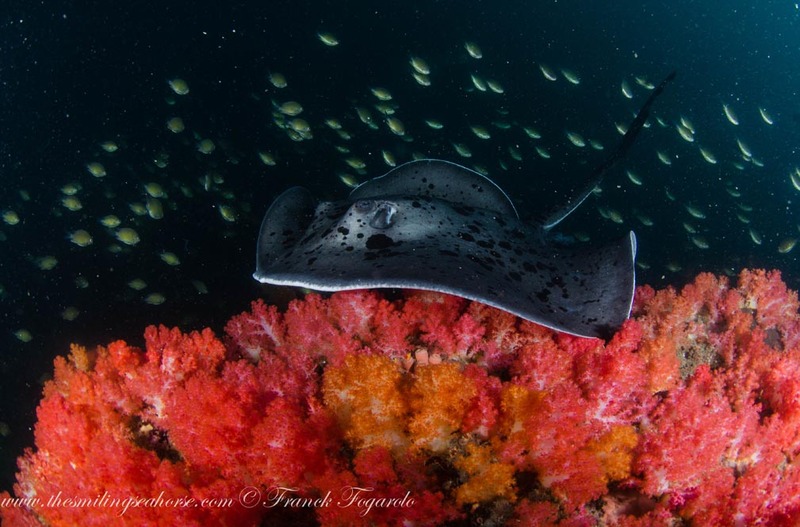 All this as well as one of the best dive sites in the world, Richelieu Rock – one of the few dive sites in the world so special it has its own website. 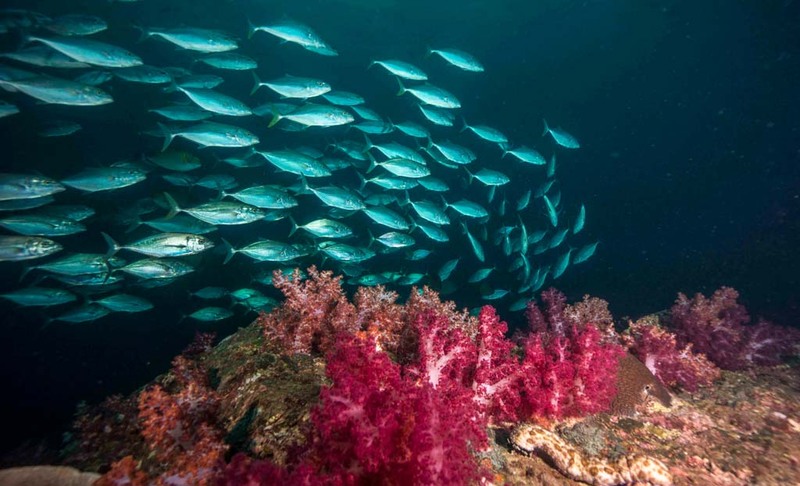 Still relatively undiscovered and under-explored, Myanmar’s Mergui Archipelago offers marine life for all kinds of underwater fauna lovers. From mantas, dogtooth tunas, and barracudas to frogfish, cuttlefish, and seahorses. Macro lovers can expect to see all kinds of crabs, shrimps and experience some rare macro interactions. Many different kinds of sharks also populate the area. 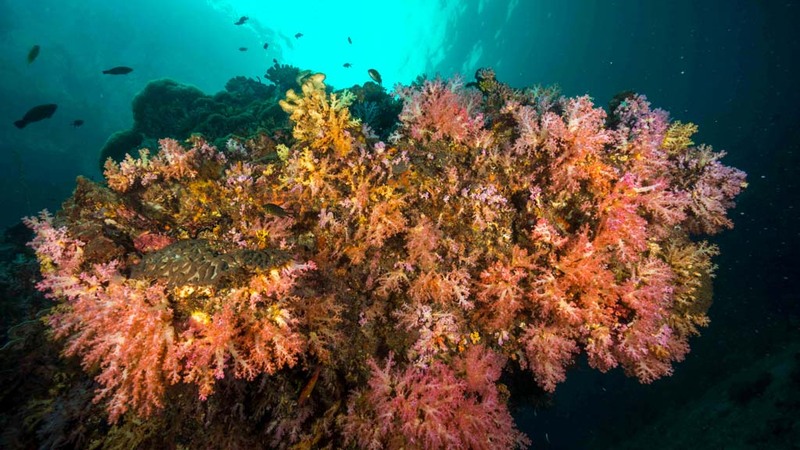 Its reefs are some of the most impressive, not just because of the beauty of the corals, gorgonians and table corals but also because of their size. 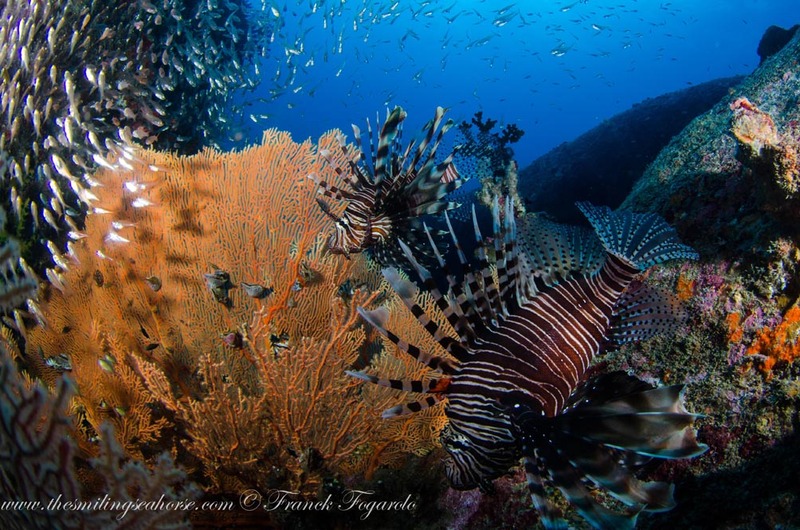 The Phinisi Liveaboard, which starts operating in November 2018, has three itineraries offering the very best diving in Thailand and Myanmar: in the south: the islands of Koh Haa, Hin Daeng and Hin Muang; in the north: the Similan Islands and Surin Islands (and the infamous Richelieu Rock); and in Myanmar: the Mergui Archipelago. 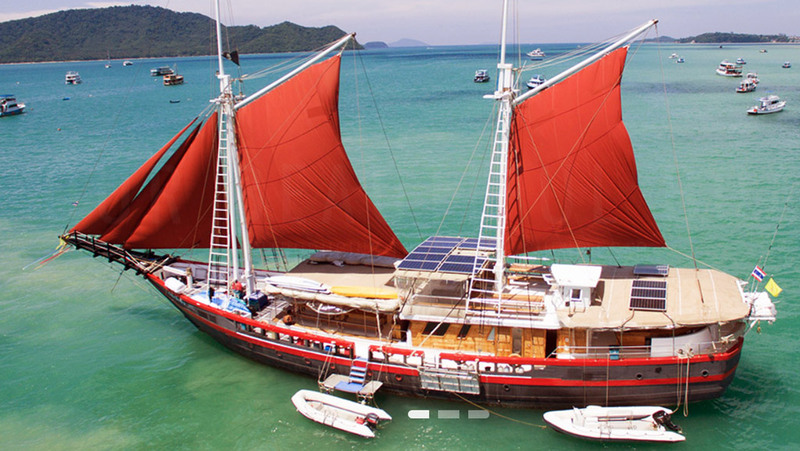 The Phinisi is a 34m custom built diving liveaboard yacht of traditional Indonesian gaft rigged Phinisi style with 7 sails. She hosts 18 guests in 7 en-suited cabins. The main deck features a large indoor salon with comfortable sofas and personal storage. There is an outside dining area with bench seating to the rear complete with full refreshment making facilities. Forward of the Salon is the dive deck, outdoor shaded relaxation area and camera charging station. Upstairs is the large half covered sun deck with cushioned loungers for après dive cocktails. Celebrate the launch of The Phinisi with a 40% discount on all Thailand trips from November 2018 to January 2019. Choose from a 4-DAY Southern Trip: Koh Ha, Hin Daeng and Hin Muang, or a 6-DAY Northern Trip. OR do the two itineraries back to back for a 10 night best of Thailand trip from just USD 1620 pp (quad-share). Find out more HERE. The new MV Smiling Seahorse Liveaboard commenced operations in October 2018. With itineraries in Myanmar and Thailand, an experienced and knowledgeable crew, the MV Smiling Seahorse liveaboard presents the best opportunity to dive some of the region’s least explored dive sites in air-conditioned comfort. 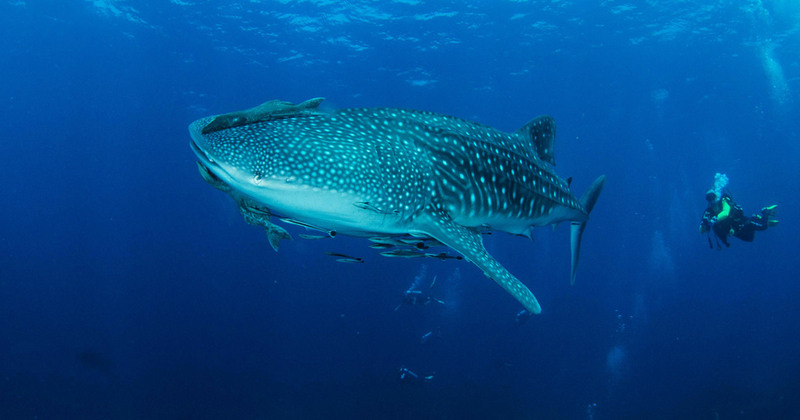 Dive Thailand’s Richelieu Rock, considered one of the Top Ten Best Dive sites in the world, or visit the Torres Islands or the Burma Banks for some exploratory diving to sites that have rarely been dived before. The Smiling Seahorse can also take you to Western Rocky in Myanmar, highlight of which is a tunnel/cave at 20m that goes right through the island, plus a dive in a volcano the very next day with some very rare marine species. 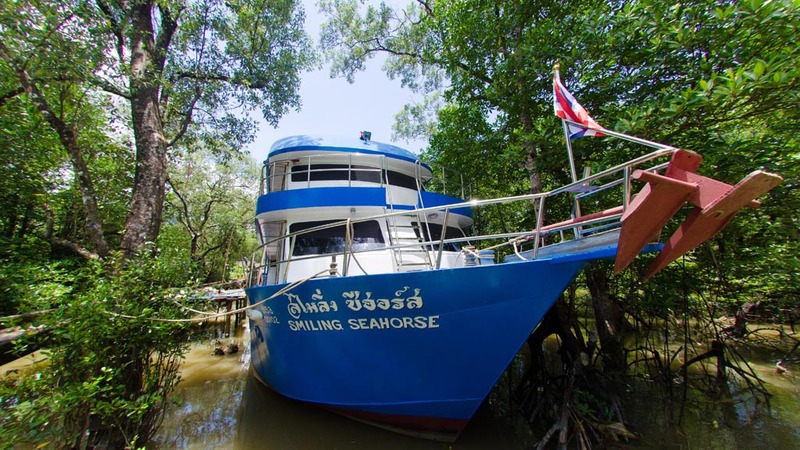 To celebrate their launch, the MV Smiling Seahorse liveaboard every fifth diver goes for free. So find four friends to join you and you could cruise for FREE. This offer, effectively a 20% discount for a group of 5 is available on their first six Thailand trips, and also Trip 3 The Mergui Archipelago on the 7-12 December trip. Find out more HERE. Hidden behind a lively street front bar in the heart of Bangkok’s Chinatown, is a luxurious oasis: a step back in time to 1930s Shanghai. 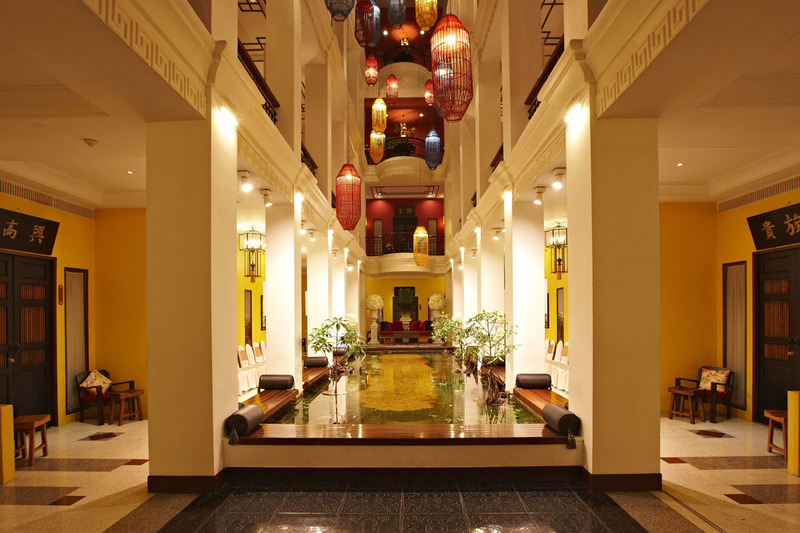 Beyond the glamorous jazz bar and fine dining, a peaceful atrium, the centrepiece of which is a pond, surrounded by deck chairs, day beds and antique furniture and overhead, colourful paper lanterns. Not far from Phuket, you can experience unique encounters with one of the world’s most endangered animals; dugongs in Si Kao. These loveable ‘Cows of the Sea’ are sadly endangered, mainly due to loss of habitat, losing their seagrass grazing ground to coastal development. 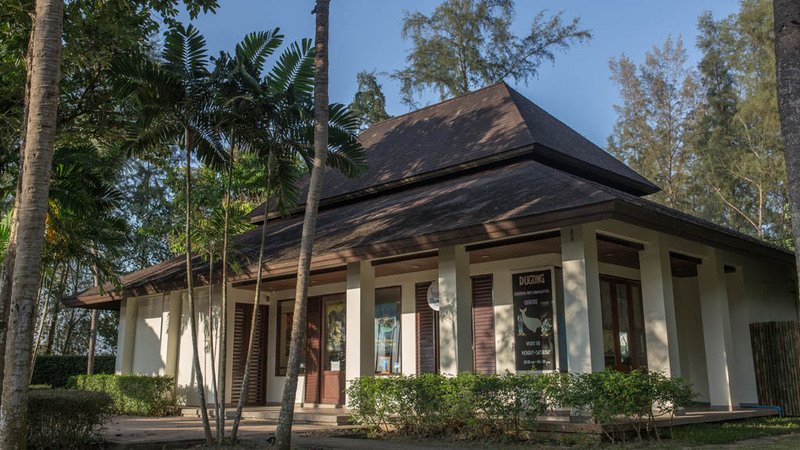 Anantara Resort Si Kao Resort has developed a new eco-tourism experience to help save them. 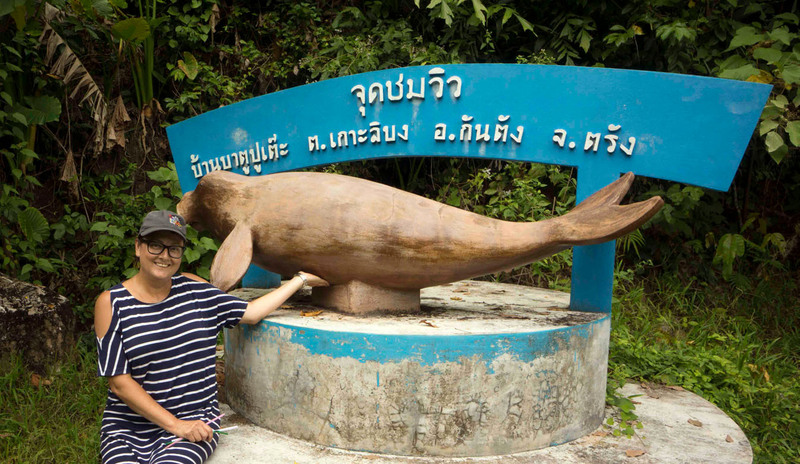 Si Kao is in the southern Thailand region of Trang, a coastal town around an hour’s drive south of Phuket which is famous for its dugong population. It’s the main tourist attraction here, but sadly, their numbers are decreasing. Latest estimates put their number at around 150. 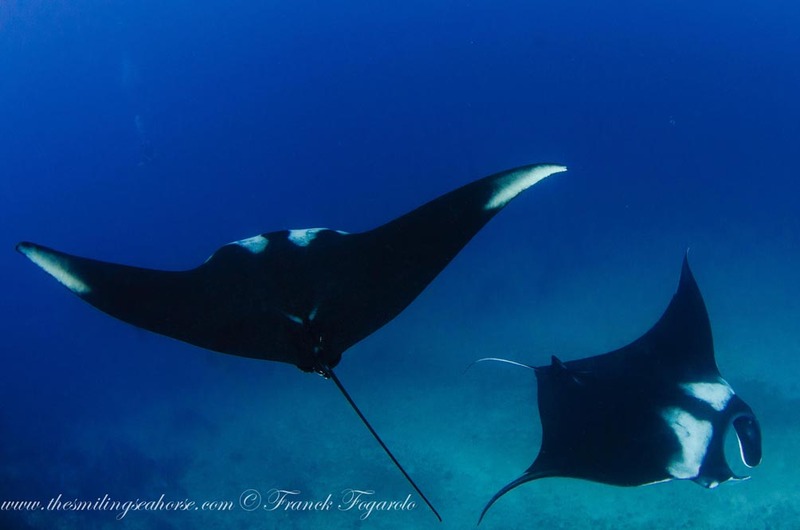 A few marine conservation groups are doing what they can to save this dwindling population, and they now have the support of Anantara Si Kao Resort. As well as supporting local conservation efforts, the resort’s sustainability manager, Mark Isenstadt, takes guests on a Dugong Experience day trip in which you can learn all about dugongs, their habitat, behaviour, threats and what we can all do to help. 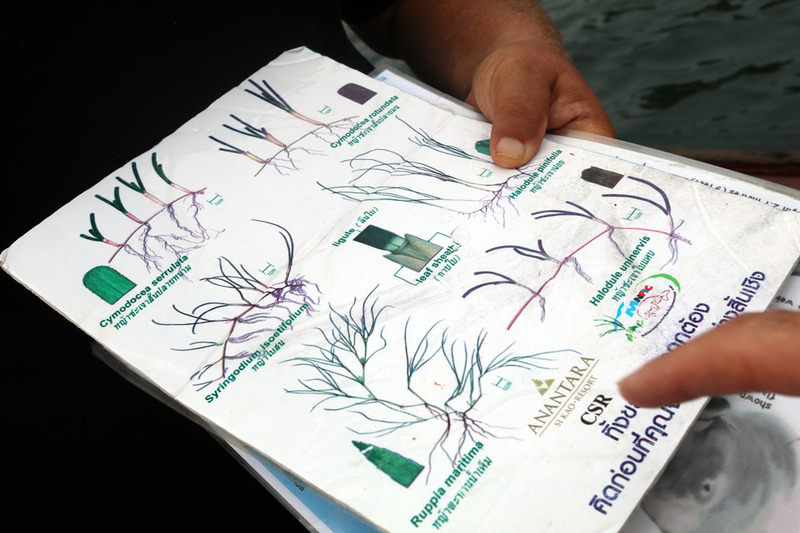 The long-tail boat tour starts with a lesson about sea grass – which is a lot more interesting than it sounds because Mark is a passionate story teller. 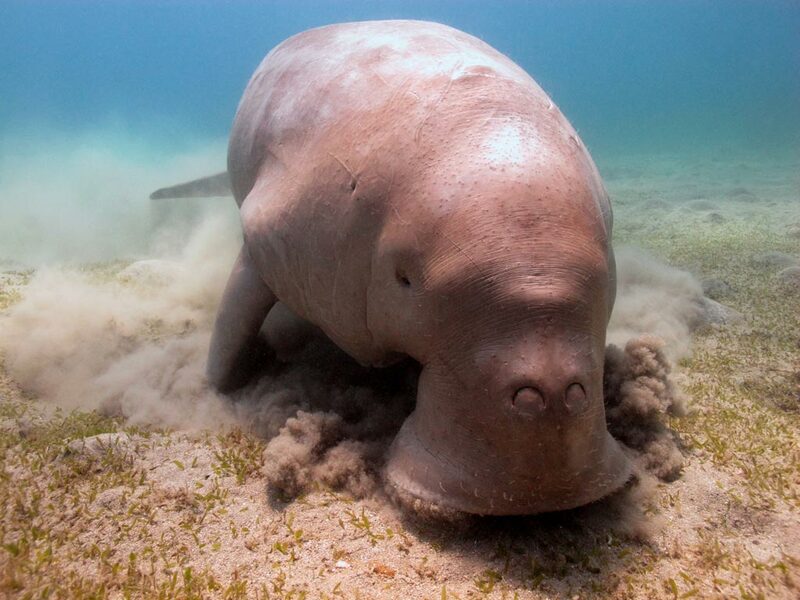 Sea grass forms the main dietary component for dugongs, and sadly the world’s sea grass beds are disappearing due to coastal development. 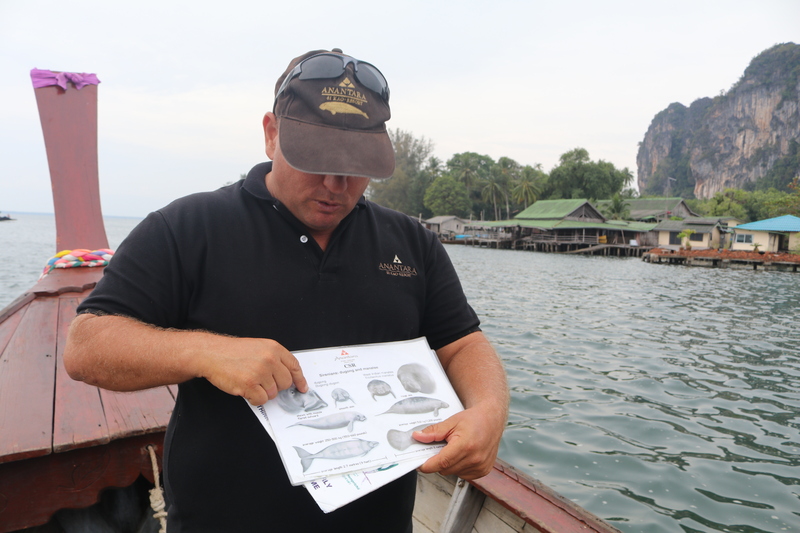 But that’s not the only threat to dugongs, as Mark explains, many are caught in fishing nets or injured by boats in the busy waterways that surround Trang and the islands in the southern Andaman Sea. A marine reserve has been established at Koh Libong, which is where the tour takes you next, to see these delightful ‘sea cows’ that once fooled short sighted sailors into thinking they’d seen a mermaid. The boat idles slowly through the marine reserve as the keen-eyed skipper looks out for dugongs, and while it’s hard for kids to stay quiet, the quieter you are, the more likely you’ll spot them. After an hour or so of dugong spotting, the tour takes you to a small fishing village for lunch before the next part of this adventure, this time using another traditional Thai form of transport, a tuk tuk. The tuk tuk takes you to the base of ‘Point Dugongs’, a tall limestone carst with a viewing platform at the top, which you reach by climbing through a series of caves. There’s not many places you can climb a mountain from the inside, it’s an adventure in itself passing through caverns, making your way to the top along narrow paths around large stalagmites and stalactites. 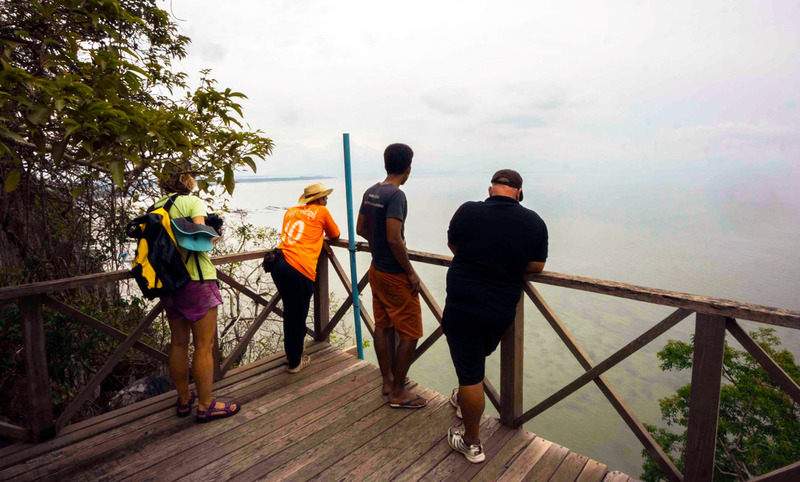 The view from the top is spectacular, the perfect viewing point for dugong spotting, and it shouldn’t be long before you spot one or two in the clear water far below. While it’s an amazing view, it’s also clear from this height that the marine reserve is too small. Local conservation groups are trying to have the area increased, and a big part of this fight is educating local villagers on the benefits. Anantara is helping with this too. The resort is building a Dugong Education Centre, where they can bring locals and school groups, to teach them all about dugongs, how they can help save them – and perhaps benefit from dugong-related tourism. For more information, visit Anantara’s website. 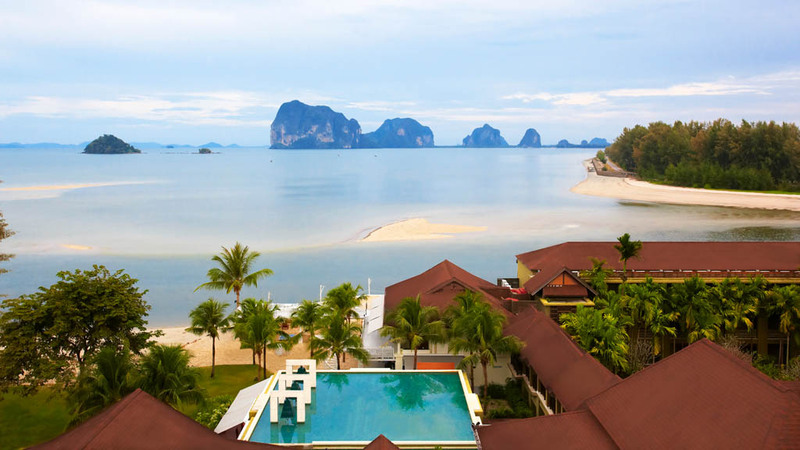 These vibrant natural landscapes, lively cultural spaces, and sparkling hotels are all must-sees (and must-stays) in Thailand according to the experts at Expedia.com.au. 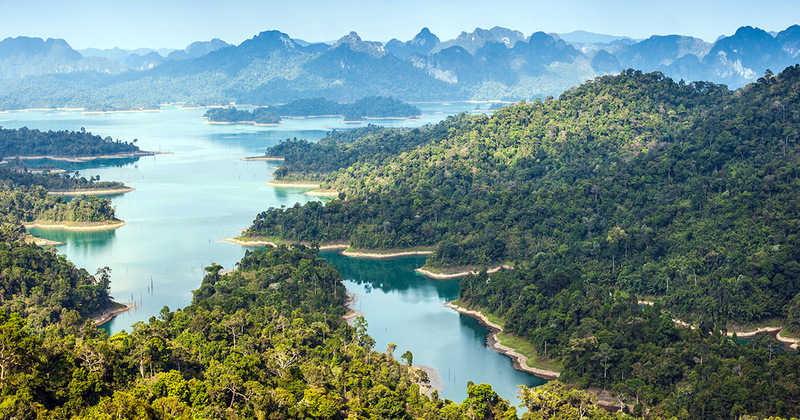 Located in Surat Thani province, Khao Sok National Park is carpeted with thick rainforest, freshwater lakes dotted with islands, and towering limestone cliffs. 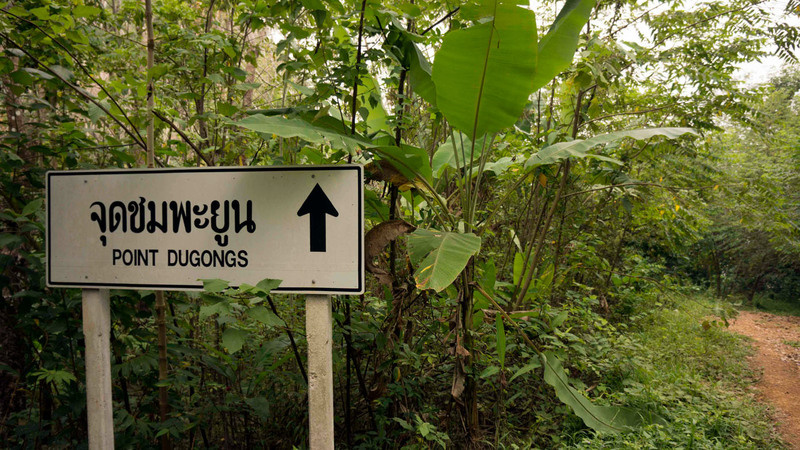 Sign up with a local guide for a single or multi-day jungle trek. 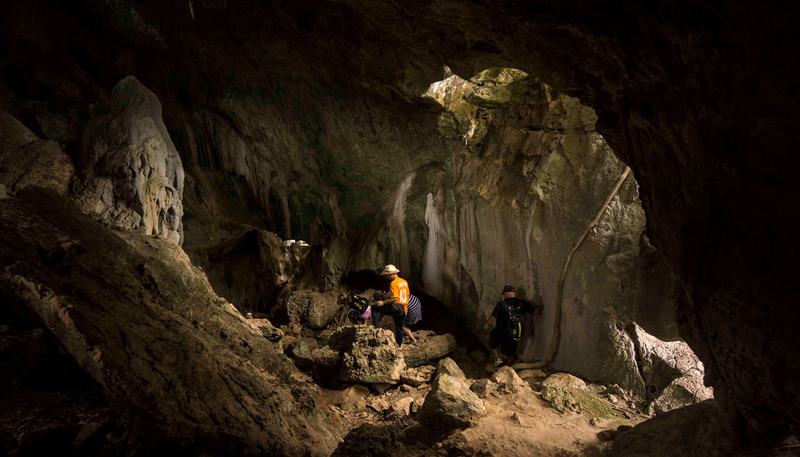 At a length of 1666m, this cave system in northern Thailand is one of the largest in the world. With the Nam Lang river flowing through it, one of the best ways to explore its enormous caverns is to punt downstream on a bamboo raft. 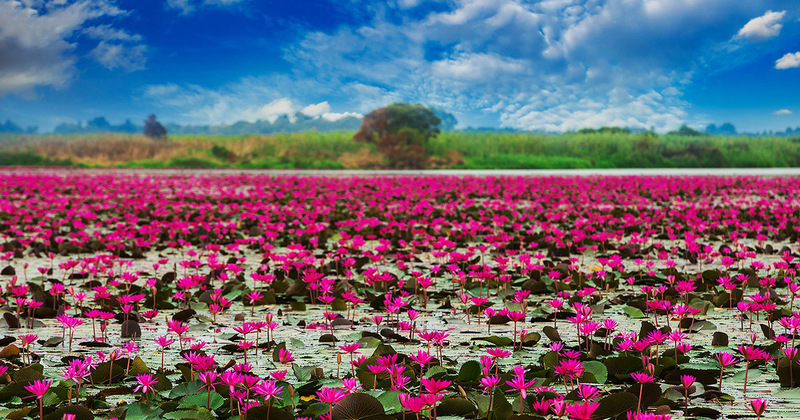 No exaggeration, Nong Han Kumphawapi Lake is literally covered with pretty red and pink lotus flowers. If you’re travelling with a special someone, this is a great place to visit. Looking to take an epic selfie? 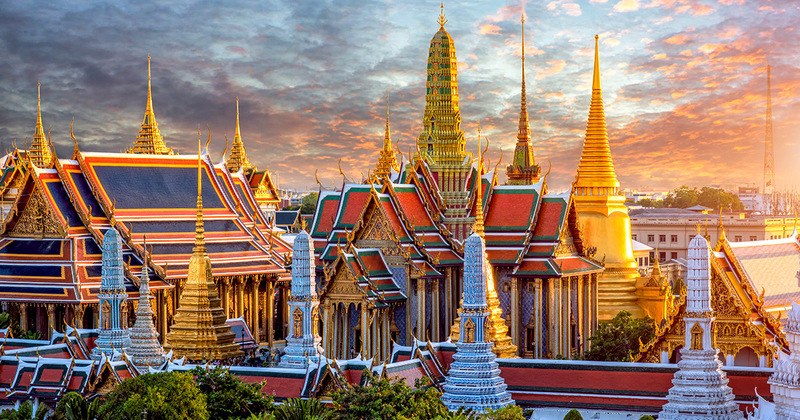 Park yourself in front of the Grand Palace and snap away. This royal residence is one of the most recognizable buildings in the world. 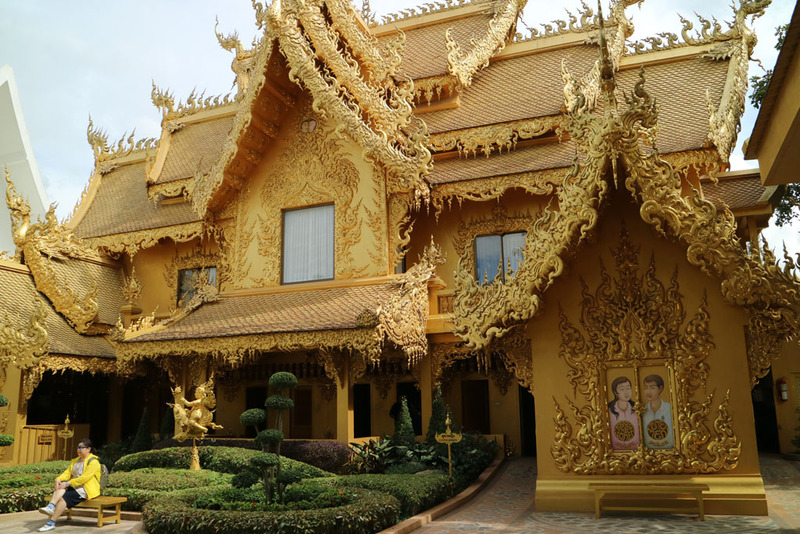 The complex also includes gardens and the Temple of the Emerald Buddha. If you’re travelling in eastern Thailand, it’s a good bet you’ll be near a Khmer temple. Some of the more well-known include Prasat Sdok Kok Thom, Prasat Hin Phanom Rung, and Phimai Historical Park. It doesn’t really matter whether you venture down this street in Bangkok’s Chinatown in the middle of the day or the middle of the night, there’s always something to do. Eat weird and wonderful street food, drink local beer, and haggle like you’ve never haggled before. Damnoen Saduak market is Bangkok’s most famous floating market and there are several other smaller more authentic choices to explore. At Damnoen you can browse for souvenirs, cheap clothes and tasty takeaway by long tail boat and canoe instead of shopping trolleys! This enormous cliff-top resort has 11 restaurants and one of the largest lagoon swimming pools you’ll ever see! This gorgeous boutique hotel sits inside Chiang Mai’s old city walls, nestled amongst old temples bringing back centuries of culture and blessings. 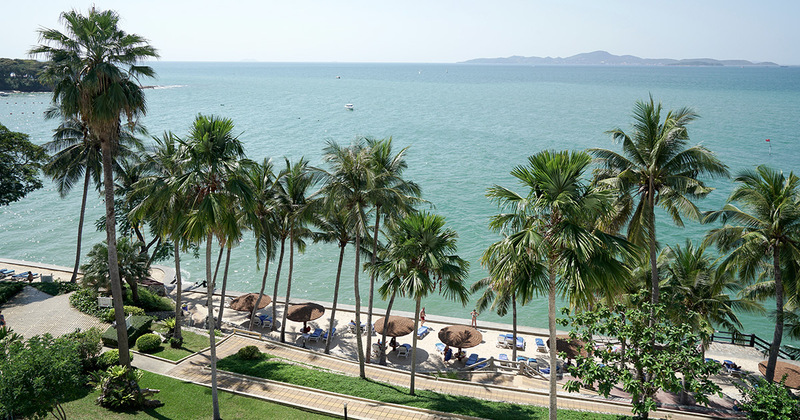 Hua Hin is Thailand’s first seaside resort town and the style of this grand hotel reflects the early colonial style.